On the face of it Japan is lacking the key element of being a nation state with an Emperor ie there is no Empire. It would seem more straightforward to have a King when there is only a single country to be the monarch of. And yet old habits die hard and on January 1st 2015 we entered the twenty sixth year of the reign of "His Imperial Majesty the Emperor Akihito". The Japanese empire was born with the Meiji Constitution enacted in 1868 following the brief civil war at the twilight of the Tokugawa Shogunate. At this time the country that is now considered Japan was effectively a set of autonomous republics plus the Bakufu regions administered directly from Edo (today's Tokyo). The title "Emperor", used throughout this new constitution, reflected the need for an overarching authority and brought agreement between the separate domains to centralise the creation of laws as well provide an overall control structure for the armed forces. Following the creation of this crypto-empire, Japan set about creating a real one with the annexations of Korea and Taiwan (Formosa) followed by the invasion and creation of a puppet government in Manchuria. Then there came the relatively brief occupation of quite a large area of South East Asia stretching as far south as northern Papua New Guinea, west to Myanmar and east to the islands of the Pacific. And then it all ended in tears. 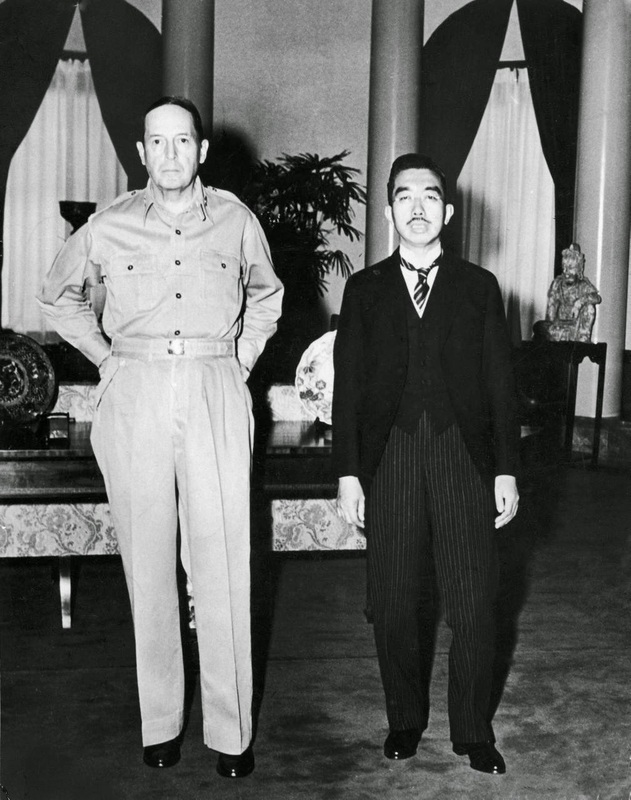 The Empire of Japan was formally put to the sword with a new MacArthur led constitution in 1947. And then it was a question of holding Japan together. Changing the title of "Emperor" was simply a fight not worth fighting. And so today Japan is a single country empire and a living God officially became a mere mortal at the simple stroke of a pen.